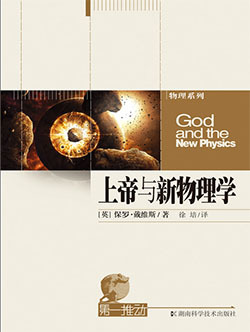 It is not a book about God, but a scientific book about what was in 1983 the new physics. It deals fundamentally with cosmology although throughout physics, mathematics, neurology, and a wide variety of philosophical problems. British-born theoretical physicist, cosmologist, astrobiologist. He is co-Director of BEYOND, Arizona State University. He helped found the Australian Centre for Astrobiology. He is also a best-selling author.